Being a homeowner comes with many perks. You get to design and decorate however you want to, there’s no landlord telling you that nails aren’t allowed in the walls, your space is your own—the list goes on and on. Yet for the amount of advantages that come with homeownership, there are equally as many responsibilities that are tacked onto your list of to-dos. The things that need consistent, more frequent upkeep (such as the yard, the carpet and floors, etc.) take up a lot of time, and a lot of priority. When this happens, we can tend to let other things fall by the wayside. House painting is one of these examples, as it tends to be one of those chores that takes place only when we want to change the color or overall decor. However, maintaining the interior and exterior painting styles of a home are crucial to maintaining the integrity and the value of the home. Read on to see when house painting needs to be added to your list of to-dos, and call One Stop 360 to help get the painting job done! We are Stamford’s Top Rated Local® Handyman—call us today for residential painting, fencing installation, home renovations, and more! You’ve lived in your house for over four years. The number of years you can wait to get your house exterior painted varies slightly, depending on the type of siding you have. As Networx reports, “Wood siding should be repainted every 3-7 years, or stained approximately every 4 years. Aluminum siding can go about 5 years between paint jobs, and stucco 5-6 years.” If living in a newer house with different forms of siding (such as cement fiberboard), you can wait longer—in some cases 10 years is acceptable. The key thing to note, however, is that exterior house painting needs to be done in a timely manner. The longer you wait to touch up the siding, the more you could end up having to pay. This is due to additional preparation fees that may take place if house painting has not been consistent over the years. Your HOA has specific regulations on house painting. Many HOAs are particularly strict about the overall appearance of the house, and have very specific guidelines on exterior house painting. While they might not always have requirements on when you need to paint, they will often have requirements on what your house needs to look like (implying that consistent upkeep is necessary). Especially in neighborhoods that are considered historic or are part of historic districts, your home will be under greater scrutiny to uphold the exterior integrity of the house. The HOA will probably be able to give you a timeline of how often they expect exterior house painting to take place, as well as the colors they deem acceptable. You’re looking to sell your home. It practically goes without saying that if you’re in the market to sell your house, your home needs to be aesthetically pleasing from the moment a potential buyer looks your way. A home with a dingy paint job, or one that is lacking in paint in certain spots, is going to lower your home’s value substantially. Take the time to hire professional painters now, and earn more than your money’s worth when it’s time to sell. This is also true from an interior house painting standpoint—getting potential buyers to the front door is only half the battle. If those interested in your home see faded, out-of-date paint colors that comprise your home’s interior, the appeal is likely to drop significantly. Not to mention, this could add more work onto their plate, which can quickly serve as a deterrent. Increase your home’s value by working with the house painting experts at One Stop! Regardless of if you bought a home that looked like it reached its prime in 1970, or if you’ve simply owned a home for over 10 years, the paint color not only needs to be updated, but likely changed as well. Styles come and go, and to have the value that your home deserves, you need to create a home aesthetic that keeps up with the times. A home that is out of style is a home that is depreciating at a steady pace—avoid being out of touch with the trends by hiring professionals to take care of your house painting needs. You’re renovating or working on a home addition. In the event you are looking to construct a home addition, you will need new house painting for the exterior (and interior as well). This is likely a perfect time to update your entire home’s exterior painting, because a fresh coat of paint on one section of the house will be noticeably different than the existing exterior. One benefit of a home addition is that if you’ve been wanting to change the color of your house’s exterior for some time, this is the perfect time to update everything. Of course, building a home addition means you will need updated interior painting as well. One Stop 360 is the ideal handyman to work with, as we specialize not only in house painting, but in home renovations as well. Work with us to get the home addition you want, with all aspects covered from start to finish. 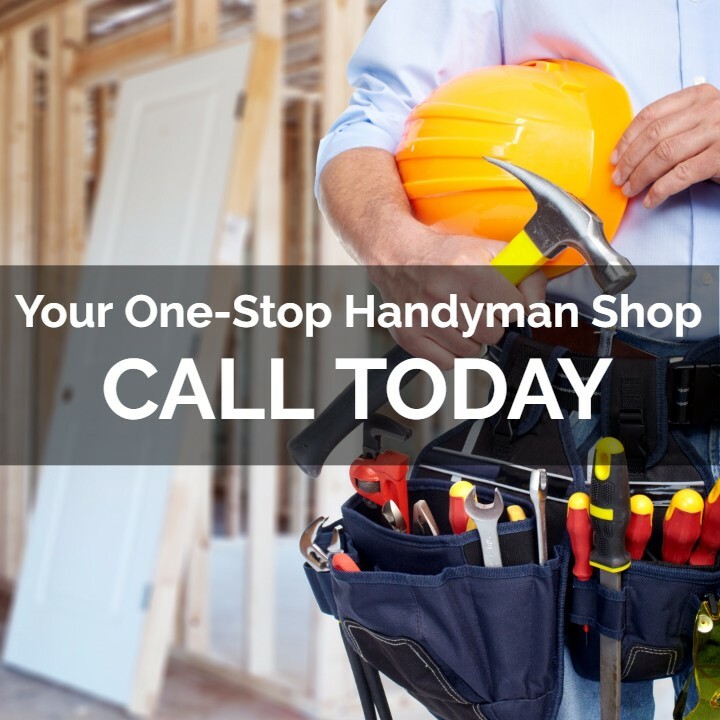 There’s a reason we’re called One Stop, because we are truly your one-stop shop for the handyman services you need. Talk with us today! Perhaps your home looks great, it’s aligned with the trends, and ultimately is so fabulous that you never want to leave. If this is the case, but you’ve always wanted your home office to be a bright and cheery yellow, or you’ve decided to convert that spare room into a home gym, go for it! Not only are you preserving your walls and helping them maintain their function, but you’re creating something that is unique and personal to you. This does not have to be limited to interior painting. Your exterior house painting might currently look great, but it’s not quite what you dreamed it to be. This is your house—you’ve worked hard to own this place, and you entirely deserve to make it your own. House painting can seem like a groan-inducing chore, but ultimately, it’s good for your home’s value and overall structure. 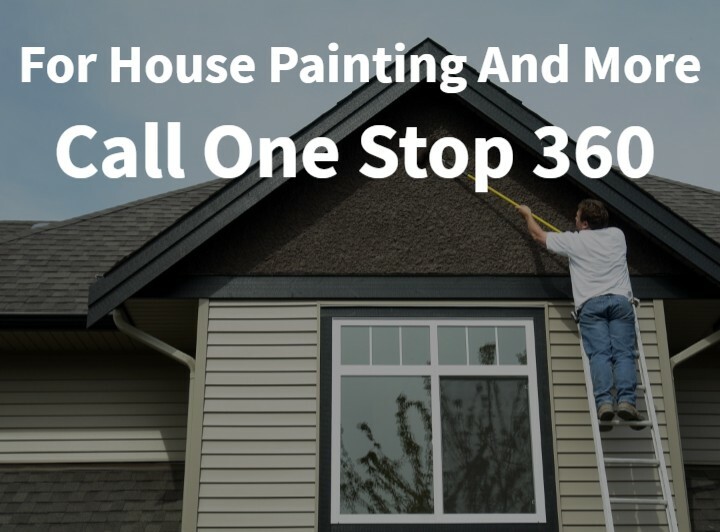 Take away the task aspect, and change house painting from a “to do” to a “can’t wait to do!” Work with the experts at One Stop 360, Stamford’s premier handyman services that will provide you with the house painting you’ve been waiting for.